Native Animal Rescue is a not for profit organisation that relies on the generosity of donations from members of the public, grants and sponsorships from local businesses and organisations. This source of funding helps us to rehabilitate over 3000 native animals each year. We are always in need of sponsorship to continue our important work in the conservation of our native wildlife. Which is why we appreciate all of our corporate sponsors so much. If you are interested in becoming a sponsor for Native Animal Rescue, please fill out the enquiry form to the right or contact us on 9249 3434. 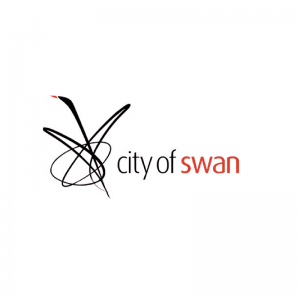 The City of Swan is committed to conducting their business with a ‘can do’ approach and have committed to a set of principles that guide their decisions in meeting a diverse range of expectations. Their aim is to build sustainable local communities to improve the quality of life within their City. Their residents, businesses and visitors are important and they strive to provide a high standard of service at all times. Because the City of Swan values their customers, they’re committed to seeking the right employees with a range of different backgrounds, skills and experience to assist. To let the City of Swan know how they’re going and how they can serve you better, you can contact them here. Known as the “Garden City”, City of Bayswater covers a beautifully-maintained area of 33 sq km located just 8 km north-east of Perth. It is home to a number of picturesque, exciting and educational attractions and 10 km of Swan River foreshore. The City of Bayswater is located just south of Native Animal Rescue and contains numerous excellent release sites for animals that can not go back to where they came from. 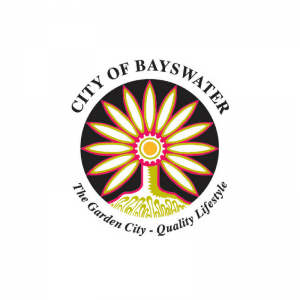 You can contact the City of Bayswater here. The Town of Cambridge was formed on 1 July 1994 after the State Government restructured the former City of Perth. This provided an excellent opportunity for the revitalisation of communities in the area. On 10 June 1996, administration staff moved into the new administration building at 1 Bold Park Drive, Floreat. Cambridge encompasses a 22 sq km area and includes Piney Lakes. 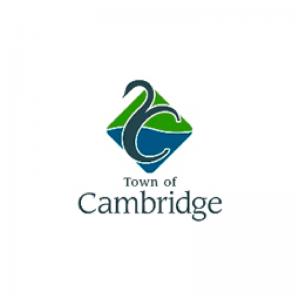 You can contact the Town of Cambridge here. Lotterywest’s vision of ‘building a better WA together’ is the ultimate contribution they want to make to our State. Lotterywest works to enhance the quality of life and well-being for all West Australians. Their future is based on a proud history of serving the community. Established in 1932 by the Government of the day, Lotterywest remains a Government entity which continues to operate for its original purpose – to benefit the entire WA community. Lotterywest plays a unique role – they are not only responsible for operating the lottery in WA, but for directly distributing a proportion of the funds raised for our beneficiaries in the form of grants to charitable and community organisations. In addition to their direct grants program, their charter is to raise money for the State’s health, sporting and arts sectors. Last financial year, WA winners shared in $601 million worth of lottery prizes, while $281 million was raised for the WA community. You can contact Lotterywest here. The Department of Parks and Wildlife protects and conserves the State’s natural environment on behalf of the people of Western Australia. The department was established on 1 July 2013, when the former Department of Environment and Conservation was split into the Department of Parks and Wildlife and the Department of Environment Regulation and is in the portfolio of the Minister for Environment. Its key responsibilities include conserving biodiversity and managing the State’s national parks, marine parks and other reserves, which cover a total area of more than 27 million hectares. You can contact the Department of Parks and Wildlife here. Malaga Print & Copy assists NAR by providing high-quality printing services such as printed documents and brochures for use in the clinic. Malaga Print & Copy helps keep printing costs low so we don’t need to worry so much about those overheads, and instead focus more on helping the animals in our Wildlife Hospital. Felicity and the gang at Malaga Print & Copy services Malaga, Perth, and Western Australia, providing a single location for all of your printing needs. With over 90 years combined experience, and a reputation for great customer service, this WA-owned and run business should be your first and only choice when it comes to your printing. You can contact Malaga Print & Copy here.